Scientists have made a significant discovery about how a deadly virus infects juvenile salmon and steelhead in the Columbia River Basin. The finding could help hatchery managers protect their stock and ultimately release more fish into the ocean. Infectious hematopoietic necrosis virus, or IHNV, is a virus that attacks a fish’s blood-producing tissues, causing hemorrhaging in the gills and surrounding skin. Steelhead and Chinook salmon are the most abundant IHNV-vulnerable species in the Columbia Basin and the disease is particularly deadly to their young. When it spreads to a hatchery, IHNV is capable of killing 90 percent of the fish it infects. Because there is no known cure, scientists have been trying for years to figure out how the disease makes its way into fish hatcheries. Until recently, the answer has remained elusive. Rachel Breyta, a research scientist at the University of Washington and a co-author of the paper ‘An epidemiological model of virus transmission in salmonid fishes of the Columbia River Basin,’ said scientists have spent many years trying to understand how the virus moves around the main stem of the Columbia and its tributaries. The disease has likely been around for thousands of years, but fishery managers struggled to understand how it got into hatcheries, which are highly controlled environments. Scientists suspected adult fish swimming through the same waters used by hatcheries to raise juveniles were the likely cause of infections. But the size of the river, combined with all the different issues influencing water quality – birds landing in the water, boats from different waterways, heat waves – all made it hard for scientists to definitively single out one or two variables to test, that is, until they incorporated some innovative statistics. Now, thanks to the help of a powerful mathematical modeling system that adeptly handles biological problems, researchers have discovered that keeping in-migrating adult salmon and steelhead away from juvenile hatchery fish is the best way to interrupt the infection cycle, and keep more young fish alive. Adult fish were the primary source of exposure 75 percent of the time. Another 15 percent of exposure cases were connected to the previous generation of young fish at the hatchery. In another 21 percent of cases, exposure to juvenile fish happened in the river. The total exceeds 100 percent because exposure can involve one or any combination of the transmission routes. “Knowing the relative role of these transmission pathways and probability of infection associated with the different transmission pathways will help managers evaluate what leads to the spread and transmission of this virus,” Dr. Paige Ferguson, study co-author and assistant professor of biological sciences at the University of Alabama, said in a news release. Breyta said in order to protect their young fish, hatchery managers can use the research to consider changes to their water supplies during migration seasons. That could lead to fewer instances of disease exposure and less money wasted on fish that end up dying before their release. Breyta and her fellow researchers cracked the problem after applying a type of statistics that allows scientists to influence the model based on what they think is happening on the ground. “The mathematics here are what made the difference. It’s a discipline of ecological modeling that’s good at looking at big complex systems in the real world,” Breyta said. 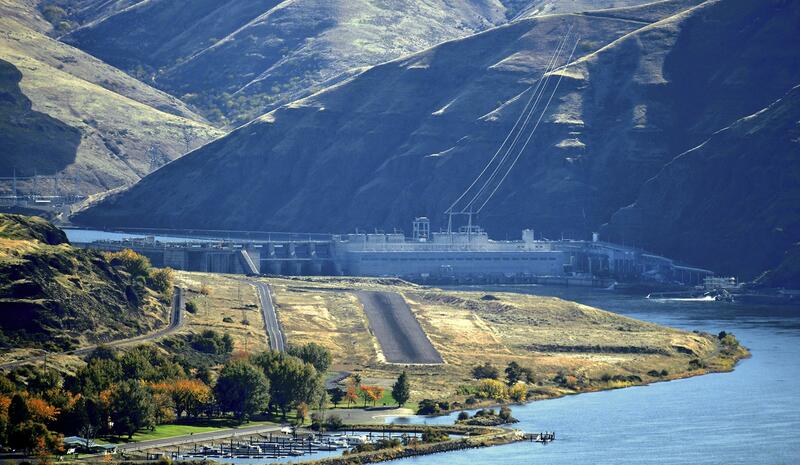 She added that discovering a tool that can handle a chaotic environment, such as the Columbia River Basin, has the power to greatly advance the capabilities of environmental scientists. Published: April 24, 2018, 11:30 a.m.